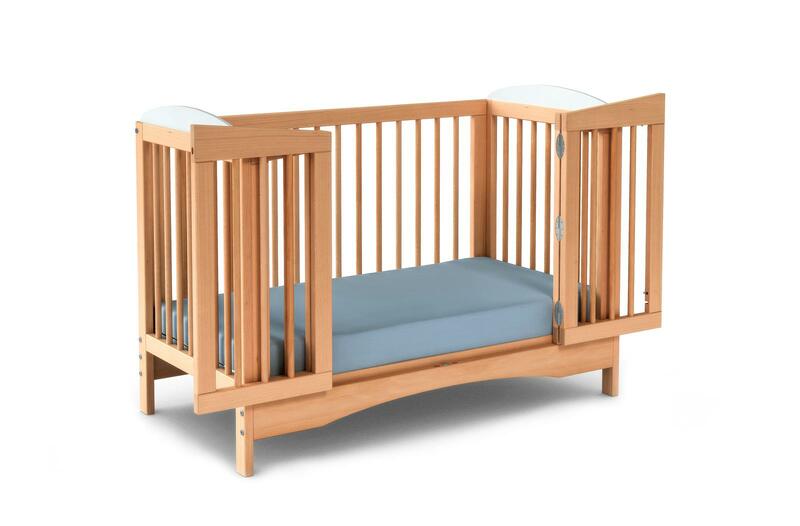 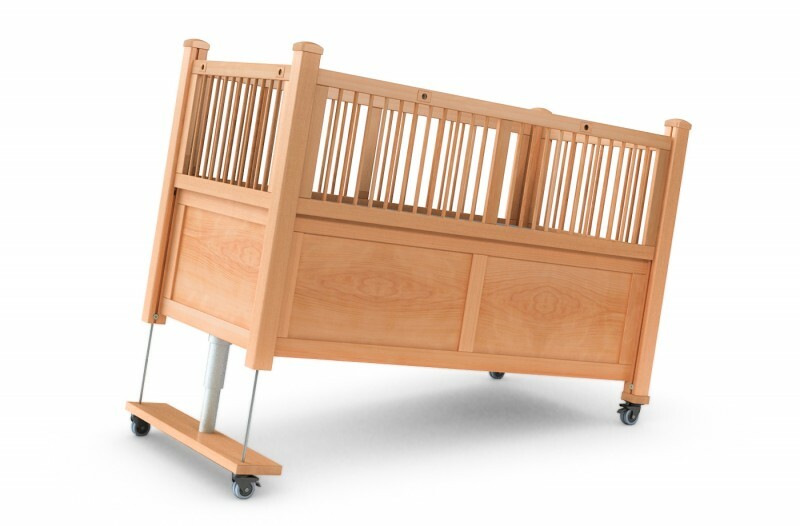 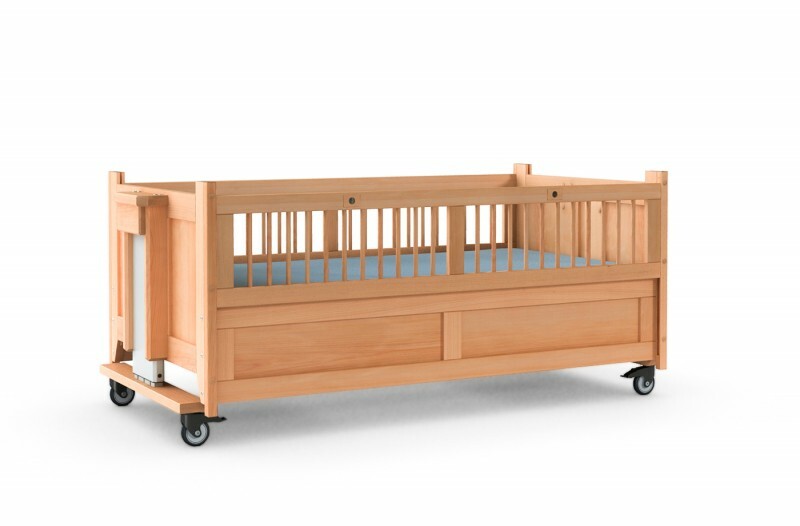 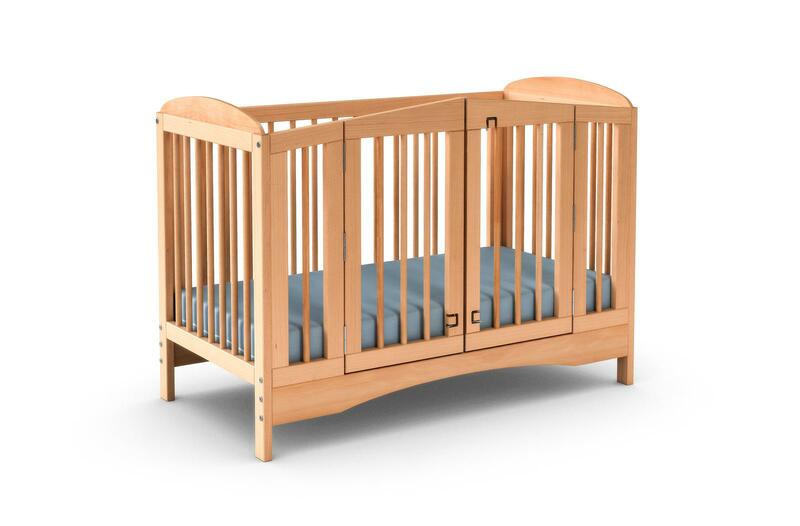 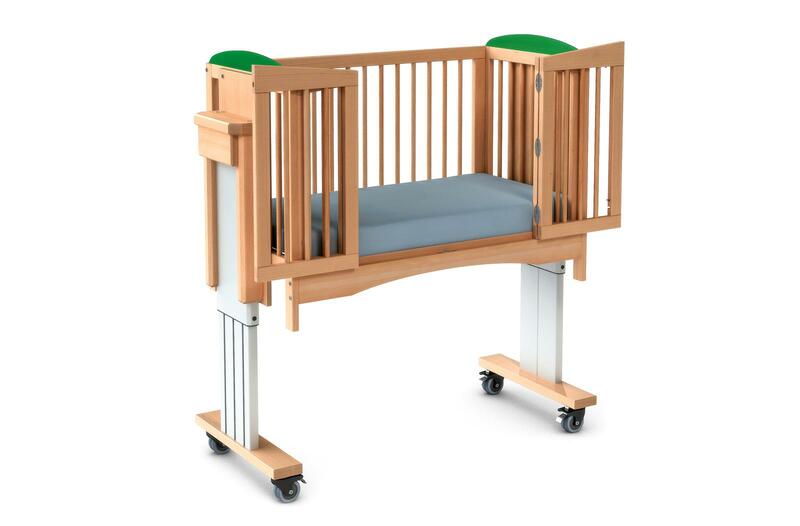 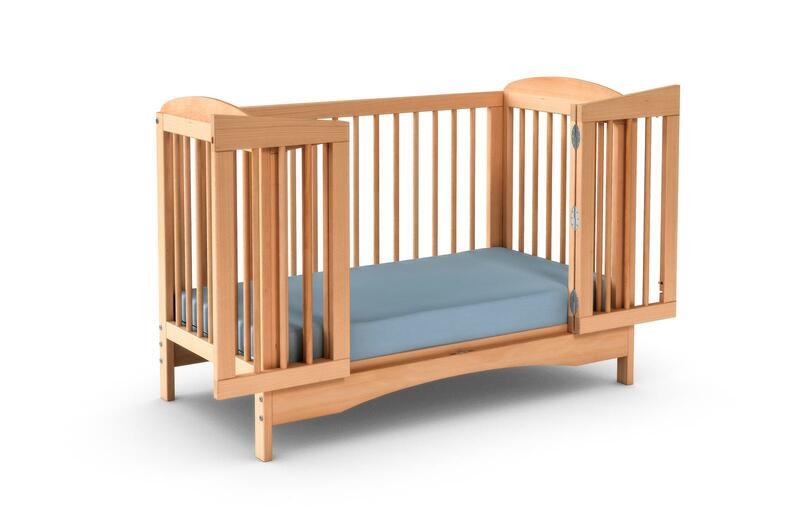 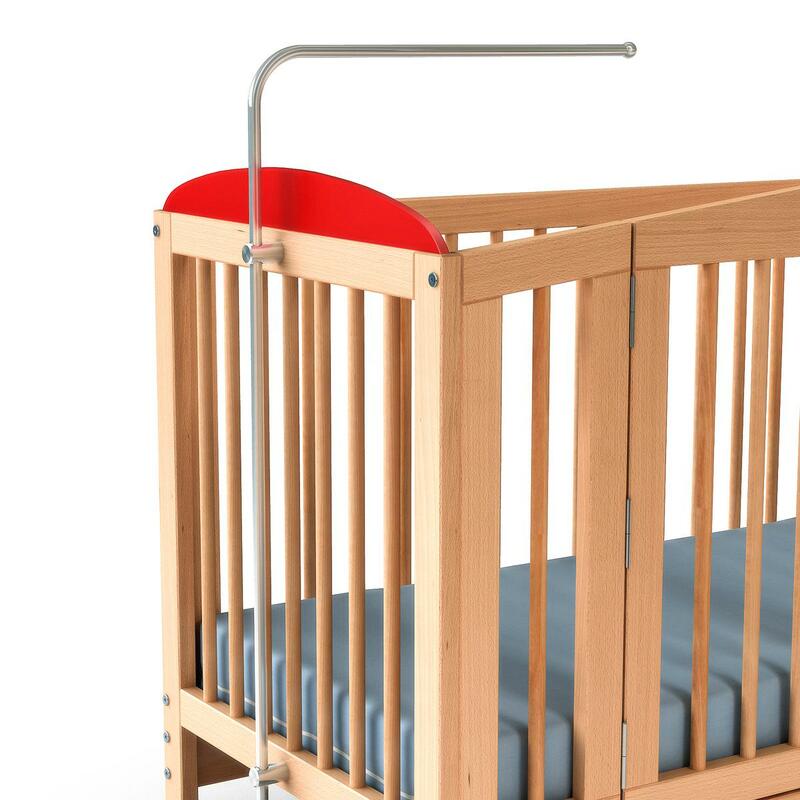 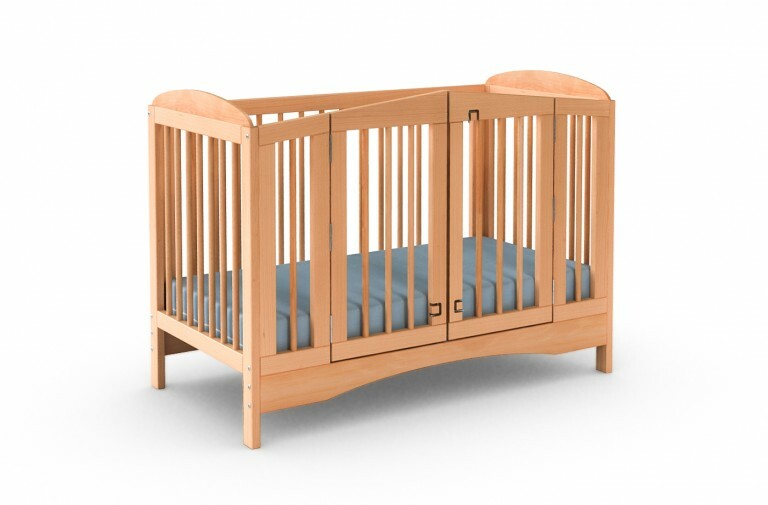 LASSE is a bed particularly suitable for the care of babies and toddlers. 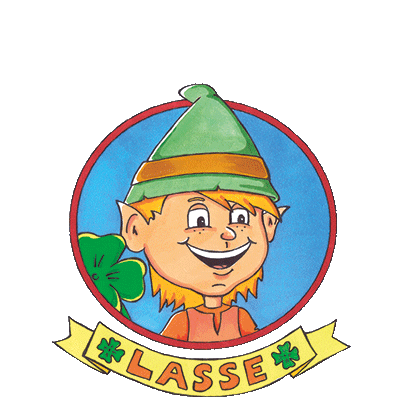 With a wheelchair, you can drive underneath LASSE Elektro on its entire width. 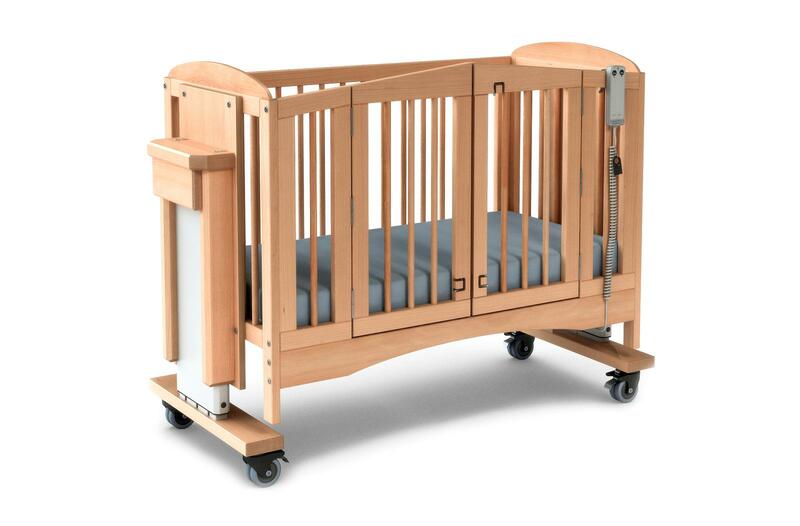 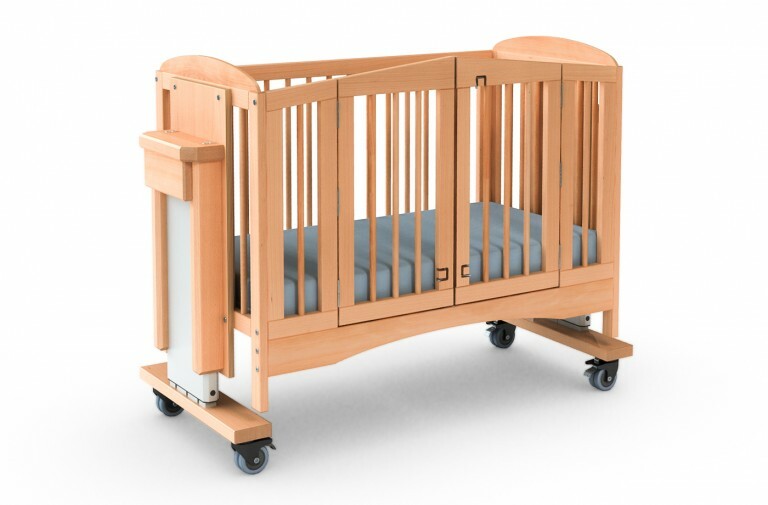 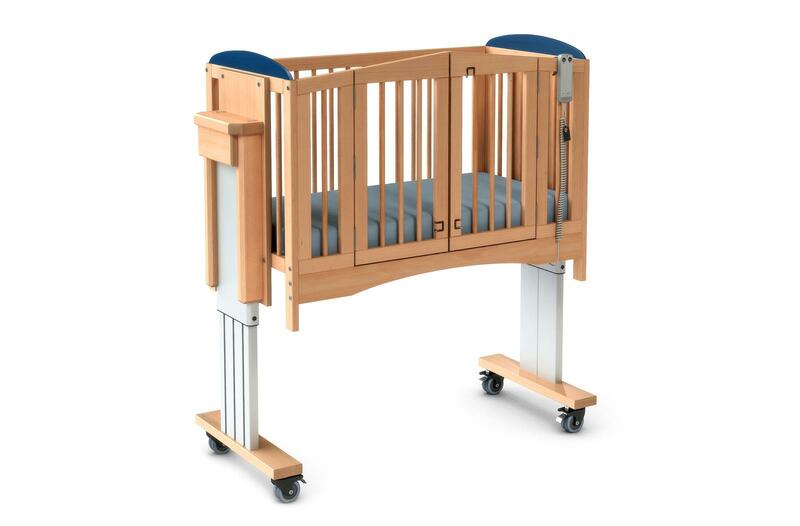 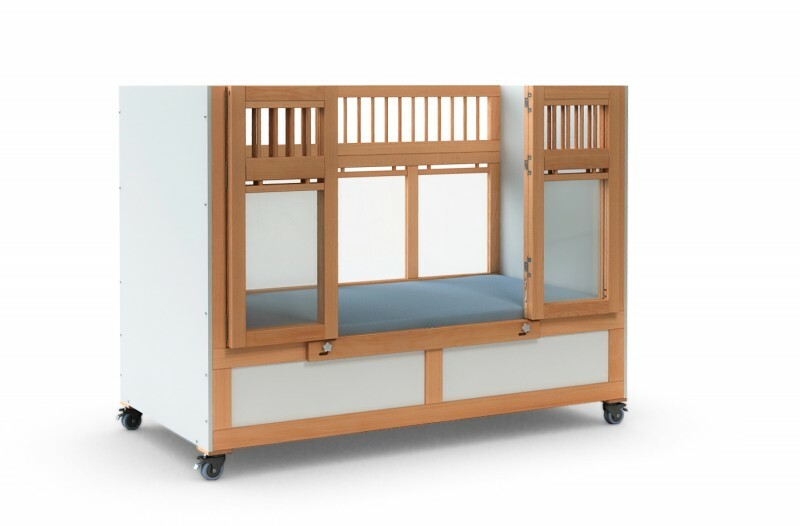 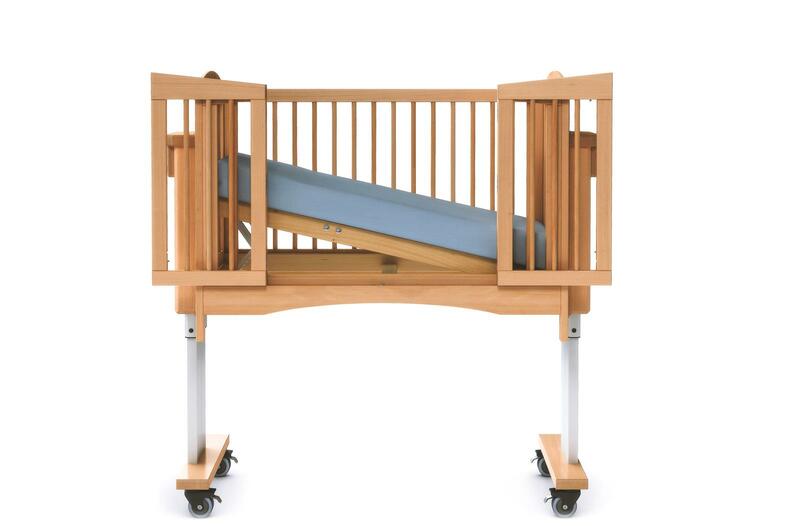 Once the electromotive height adjustment is no longer required, Lasse turns into a cot with low entry.